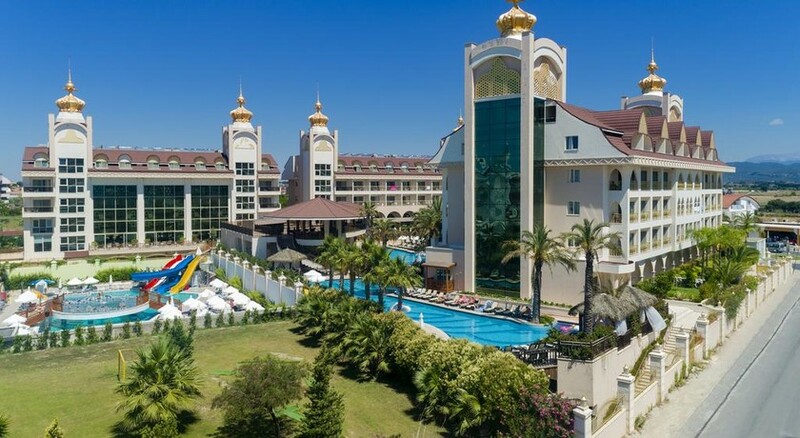 If you're looking for a fun and relaxing holiday in Turkey's Antalya region, take a look at what the Side Crown Palace has to offer. The hotel is located less than 40 minutes drive from the airport, within the charming Turkish seaside resort of Manavgat. 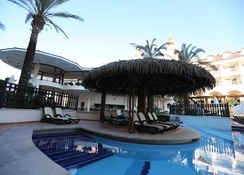 You'll have access to the hotel's nearby private beach, while the historic town of Side with its wealth of attractions and excellent shopping is within easy reach for day trips. Please Note: Rates are not valid for Turkish passport holders. The hotel has a wide selection of facilities, amenities and things to do to will help you make the most of your holiday time. 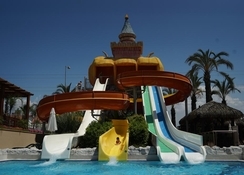 There's a swimming pool complete with slides for the kids, an all-inclusive buffet restaurant and a la carte venue, live entertainment performances for the grown ups, and a children's club to keep your little ones occupied while you soak up some rays. There's also a spa on-site for further relaxation, and a number of sports activities are available, such as football and volleyball. There are almost 500 rooms at hotel, all of which come with free Wi-Fi as standard. Each room comes with tea and coffee making facilities, air conditioning, a complementary minibar, satellite TV and a bathroom with a shower and a range of toiletries. The hotel was beautiful but it was the off season so some things not working like sauna no free hot tub as off season. Food was great no meal disappointed us! Lots of choices all good! All inclusive drinks very good but nothing going on after 12 sister hotels closed because of slow season there was a disco just no one in there so it shut early! We went in February the food and service was great.